Imagine you just ran a marathon and someone suddenly cuts your air off. 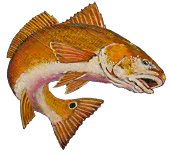 An adult red drum that has just given you the fight of its life probably feels this way when it is removed from the water. 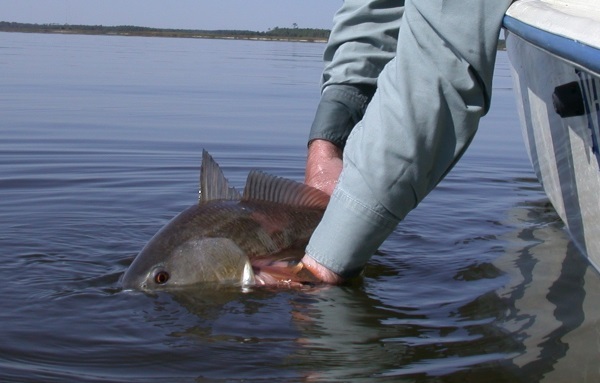 If at all possible, try and remove the hook while the fish is in the water, then keep control of the fish by holding it near the tail and helping it maintain equilibrium by supporting it under the belly with your other hand. Allow the fish to revive in the water as someone gets a camera ready to snap a photo. Ideally, photograph the angler holding the fish in the water. When the fish has gained back some of its energy, it will be able to shake free from your grip and return to the bottom.